It was a few years back when Russell, a former NHL defenceman and current GM of the Canadian Hockey League’s Halifax Mooseheads, was out on a Nova Scotia golf course with the player that had skated two memorable seasons with the club. While Russell can hold his own on the fairways and greens, MacKinnon struggled mightily off the tee, on the greens, and just about everywhere else on the course. Selected first overall by Baie-Comeau in the 2011 Quebec Major Junior Hockey (QMJHL) League Draft, MacKinnon was dealt to Halifax just over a month later in a blockbuster trade. He went on to record 31 goals and 78 points in 58 games in his first regular season with the Mooseheads, along with 28 points in 17 playoff contests. In his second QMJHL campaign, MacKinnon led Halifax to its first Memorial Cup championship. He was named Most Valuable Player, after he posted a tournament-best seven goals and six assists in four games, and also earned a spot on the 2013 Tournament All-Star Team. 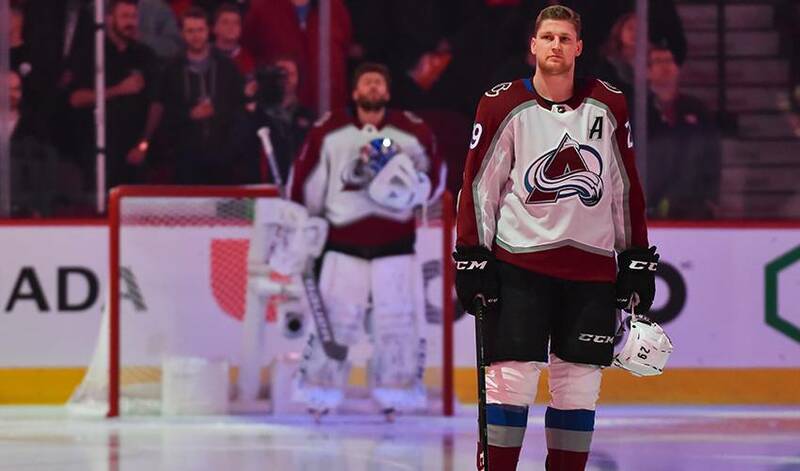 The Colorado Avalanche made MacKinnon the first overall pick in 2013. Since that time, he’s posted 374 points in 424 games. It’s something Russell saw time and again during MacKinnon’s time in Halifax. “He was a guy we had our eye on for quite awhile,” recalled the Nova Scotia native who played 396 games with Chicago and Colorado. “We had just finished in last place two years in a row, we lost some fans, and we needed to do something to give a boost to our organization. Would Russell have enjoyed the challenge of going one-on-one against MacKinnon on NHL ice?